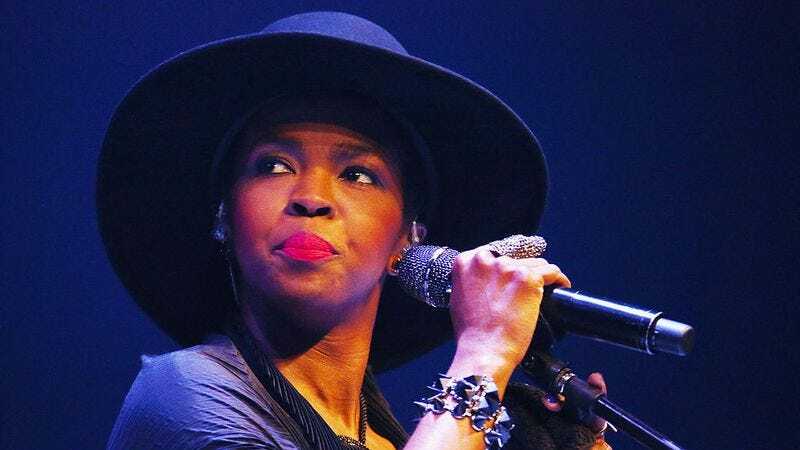 Lauryn Hill has responded to complaints about the two-hour no-rain delay for her Atlanta concert Sunday night. The erstwhile Fugee showed up just half an hour before the venue’s 11 p.m. closing time, after making fans wait for about two hours to see her. Hill later took to her Facebook page to smooth the ruffled feathers and advise her fans that her tardiness wasn’t the result of poor time management, or an impromptu True Detective season one marathon. Rather, the artist’s energy just couldn’t reach a metaphysical agreement with the time. (Hey, we’ve all been there.) It’s a far more elegant description than “brain fart,” and just proves that you can’t rush genius, not even after agreeing to whatever terms are in said genius’ tour rider. Hill’s explanation of her performance quandary is relatable enough—who hasn’t agonized over the “artistic process,” wondering if creativity exists without spontaneity? Hill’s fans have responded in much the same vein as your homeroom teacher did you when you tried spin such a tale, but she has offered to “make it up” to the unhappy attendees, presumably so long as Mercury gets the hell out of retrograde.